Um ótimo local para pesca, caça, ou simplesmente para relaxar. Muito espaço. Dentro e fora, dorme 10 a 14 em quatro grandes quartos e um pequeno quarto. Jantar aberto e área de cozinha para toda a família e os amigos que você traz. Já churrasqueira a gás, grelhador a carvão e fumador elétrico para se divertir cozinhar ao ar livre. Nós frinish todos os chips de gás, carvão, fluido de isqueiro e tabagismo para as suas necessidades. Enquanto alguns desfrutar de grande cozinhar para fora lado talvez o resto só quer relaxar e descansar. Para os jogos de cartas Thiers e TVs para toda a sua família e amigos precisa para desfrutar. Já satilite Direct TV e oferece esportes, filmes, tempo e muito mais. Grande movimentação círculo para facilitar o acesso dentro e fora com três alpendres cobertos com muita iluminação e gancho ups elétricos. Localizado em boa área de pesca, com excelentes vistas. Também tem máquina de gelo na cabine, então não precisa se esgotando e bying gelo que já está lá. Então venha e desfrutar de grande lago Guntersville e vamos tentar o nosso melhor para que este as melhores férias de sempre. Great place to stay with lots of room and really nice people to rent from!! Thank you for the perfect place for myself and my family to make wonderful memories. Laura, Thanks for this great review hope all went well, sorry again for not checking on you more. Have a great year and stay safe. The perfect place for our fishing trip. 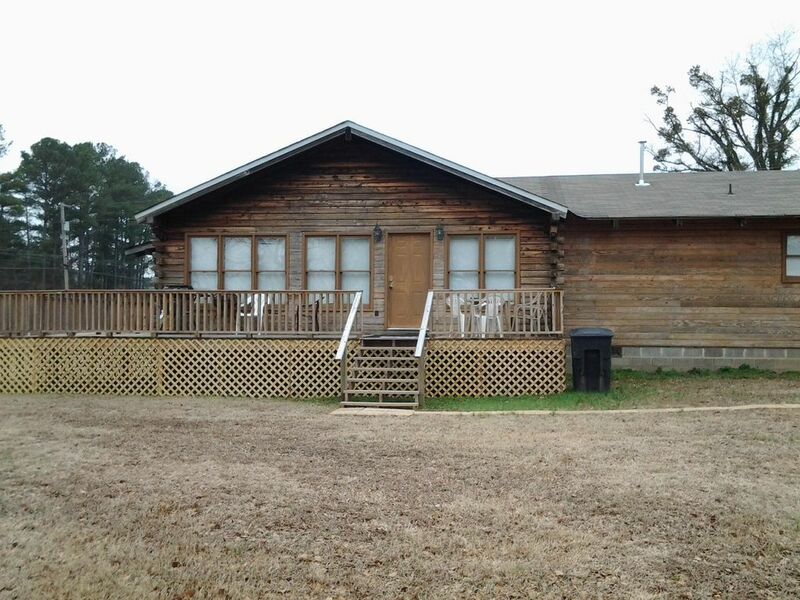 The property was perfect for our fishing trip to Lake Guntersville. It is only 3 miles to the boat ramp, gas station, store etc. It is close to town for eating out. The covered parking with electricity was perfect for our 3 boats. The house is clean and very roomy with all the conveniences you will need. plenty of room for everyone to sleep if you have a large group. We will stay at this property again. Thanks Mack! Juan, Thanks for the great review, hope to see ya'll again soon and be safe out there. Thanks Sam for this great review and we would be glad to have you come back and stay with us again. P.S. Sam maybe next time we will be able to help with the fishing report. Thanks again and take care. Vonda, Thanks so much for staying with us, hope you and your family are doing well. Thanks for the review. Great place to stay! Owners are execellent! The pictures don't do this place justice! Beautiful cabin inside with TONS of sleeping space! Mr. Jones is very attentative & makes sure your stay is awesome! Only thing this cabin needs is wifi! Thank you so much Laycie for this great review and I hope all the kids had a great time at the bat cave. P.S. WI-FI is on the way. Nós fazemos passeios de barco guiados por pontões pelo lago Guntersville, Alabama. Têm grandes cervos da cauda branca aventuras de caça em outubro a janeiro. 150.00 a night for up to four 25.00 for each additional person.